In order to convince Sculpt to give me self-defense lessons, I had to follow his one rule—no complaining or he’d walk. I didn’t think it would be a problem. I’d been bucked off horses, kicked and stepped on. I could handle a few bruises. What I hadn’t anticipated was landing on my back with Sculpt on top of me and my entire body burning up for him. Then I tried to stop it. I failed of course. And having a hot, tattooed badass on top of me week after week, acting cool and completely immune to what he was doing to my body—it was frustrating as hell, so I broke his rule—I complained. I wrapped my fingers around his bicep, well, wrapping was an exaggeration as they couldn’t even come close to circling anything on him except maybe his baby finger. He spun around looking on either side of him for the missing girl,then his eyes ran the length of me as if I was up for auction. He looped his arm around my waist, tugged me in tight. I heard the tinsel girl huff then her high heels clicked on the cement floor as she stormed away. Short. Frumpy. Drab. The words never left my mouth, instead I did what I always did when guys used to make fun of me—I curled my toes. Oh. 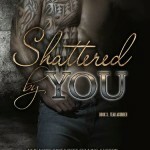 I pulled back, and he let me, but his arm remained around my waist, hand resting on my hip. Dry mouth was rearing its ugly head as I stared up at him, taking in the slight curve of his nose, his angled cheekbones ,and god, he had this dimple in his chin I wanted to run my finger across. To find more bleach for her hair. His breath tickled the sensitive place just below my ear, and my nerves shot off so violently that I knew I’d have fallen flat on my face if he’d let me go. There was an edge to his voice, rough with a hint of darkness. The reason fled my mind, and I stood staring at him like that stupid piece of steak. “I . . . ah . 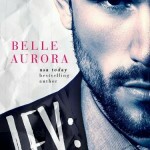 . . well.” His tongue slid across his upper lip wetting the surface and making it glisten. Jesus, did he even know he was doing that? When she isn’t writing, she can be found sitting in a field reading with her dogs at her side while her horses graze nearby. 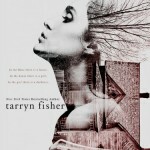 She loves interacting with her readers and chatting about her addiction—books. 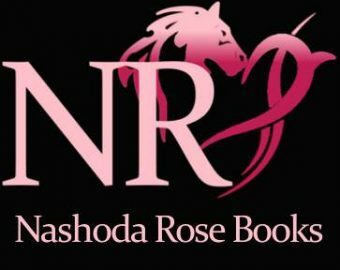 Nashoda is a member of Romance Writers of America and is represented by Mark Gottlieb of Trident Media Group.